Telltale Games have been the frontrunner for interactive storytelling over the last couple of years. Past titles like Sam and Max Save the World and Strong Bad’s Cool Game for Attractive People helped to shape their vision and execution for the games that followed. As a result we have seen a vast increase in the quality of engaging storytelling and responsive interactive gameplay. The most prominent license to shoot them into the mainstream and show that there is a large market for interactive episodic gaming was without a doubt The Walking Dead series. I fully believe that it was this market that helped facilitate the remake for Grim Fandango, a game no one expected to be remade. 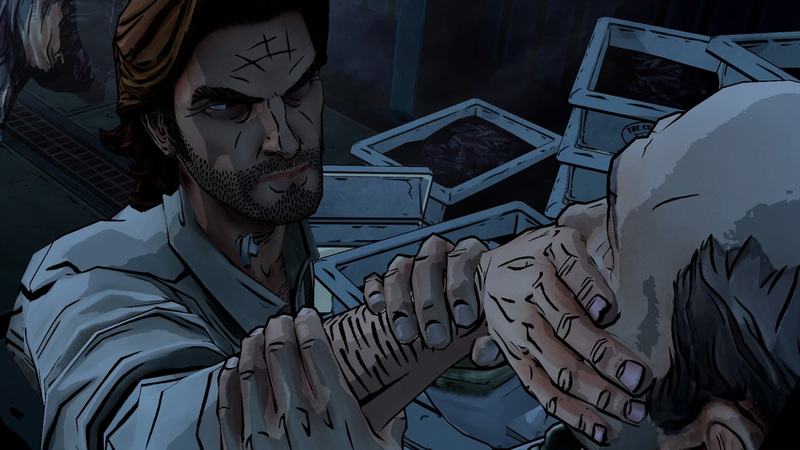 Between the releases of Seasons 1 and 2 of The Walking Dead, Telltale Games brought us a game fully inspired by the Fables comic series. 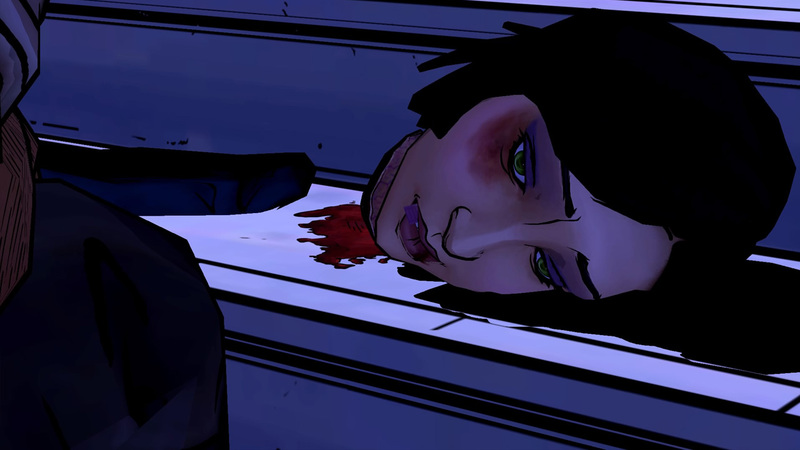 The Wolf Among Us is a 5 episode murder mystery, encapsulated within the comics own New York City backdrop. The setting to this iteration is that of a prequel to the comic’s storyline. 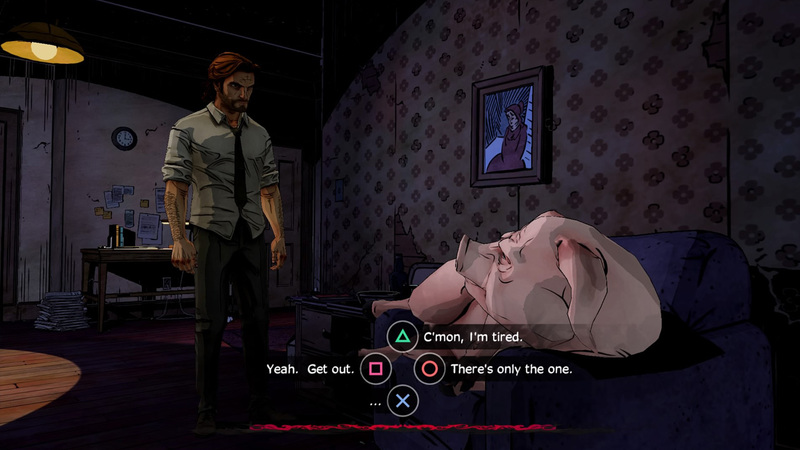 Main protagonist Bigby Wolf, or The Big Bad Wolf for the traditional fairy tale fan, works as the lone sheriff of Fabletown, a fictional location in New York where all the fables reside. Bigby’s patrol usually consists of making sure that the fables are wearing their glamours, a magical device that gives the animals and trolls of their magical world the appearance of humans, in order to not tip off the normal population. If the fables don’t have their glamours, they are punished by being sent to the farm. As the game starts, Bigby is called to a disturbance at a hotel which serves as a house for fables in the city. When he arrives, he sees The Woodsman attacking a young girl. 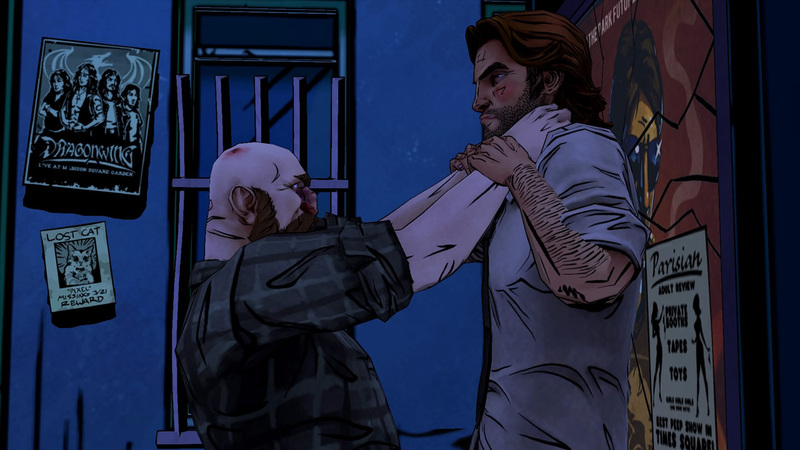 Bigby gets involved in a physical altercation with The Woodsman and effectively subdues him. We learn that the young girl is a prostitute named Faith but is hesitant to provide Bigby with any credible information as to what caused the ruckus. The story starts to take shape right from the beginning so I will leave the synopsis at that so as to not ruin your enjoyment of the game. The Wolf Among Us has an incredible visual environment that sucked me in right from the start. Easily the most vibrant game that TTG had created graphically, I found myself actually wanting to be in this version of Manhattan. The colour palette was used in such a way that it gave me the unique feeling that I was in a dark and dreary story but surrounded by a lush and active city. The character models in regards to their features stayed fairly accurate to the Fable comics but were given the Telltale treatment by rendering them in more of cartoon-like style. Stylistically, this is my favourite game to look at, even to this day. The background of a neon cityscape coupled with the cell shaded artistry of the character models was certainly a highlight for me. This projected emotion would be nothing without good voice acting and Telltale did an excellent job casting the roles. Every character had a genuine voice and individual personalities that really expanded the quality of the game. From the raspy smoker tone of Bigby, to the soothing calm of Snow White, and the shrill horror of Bloody Mary (more on that later), The Wolf Among Us brought dialogue that was near perfection. The gameplay is pretty standard fare for the interactive story model. Scroll and click to search for hidden fable descriptions and choose one of 4 options for your dialogue. Action scenes add variety by challenging your reflexes through use of the analog sticks or the trigger buttons to complete your objectives. While the control scheme and playability may seem mundane, you have to remember that you are essentially playing a movie. Despite the simplistic and easy objectives to complete an action scene, I still felt very gratified with the carnage that I had created through a few choice phrases and a ton of violence, which is one of the reasons that I play these games. A Wolf Among Us, much like many cinematic interactive games is very forgiving in that if you fail to accomplish a certain part of the storyline, you are simply taken to the last checkpoint to try again with no detrimental outcome for your failure. In some cases, I found myself enjoying that I had failed because it allowed me to go back and change the choices on how I preferred Bigby to continue the story. The best part of this game is easily the story. My god, the story! Each episode clocks in at around the 2 hour mark. In those 10 hours, I was fully engrossed in the story for…10 of them! Simple math tells me that I really liked it. This was a murder mystery that I will truly never forget. Telltale applied several tactics used by many of the great storytellers to entice you to continue onward. Incredible conflicts, ending episodes on cliffhangers, applying subtle hints for you to guess the twists, and incredible dialogue that made you feel like the choices you made mattered. Each choice made you consider if it would be detrimental to a character that you built an emotional bond with. This was complimented with the use of a good amount of characters from the Fables universe. The “happily ever after” version of the fairy tale characters we grew up with, like Beauty and the Beast, are seen from a very dark perspective. They are all living with struggles that we as common people deal with every day. For example, a troubled marriage, having to work for the slumlord of a whorehouse, peddling drugs and black market glamours for an evil kingpin…okay, maybe some of us don’t have it that bad. Still, watching someone’s perfect life get crushed under the weight of the real world was very gratifying for me. This is a constant theme throughout the game; a theme that is taken further down the rabbit hole by use of the scariest character from my grade school days, Bloody Mary. As a man in his early 30’s, the only things that really scare me these days are snakes and commitment. When I saw Bloody Mary take to her ultimate form in this game, I had the same shiver down my spine that I get when someone says “You’re the one for me”! The best feature of a Telltale game is that you are the one who dictates how the story plays out based on the decisions you make. The worst thing about them is that you can only skew the story so far. A lot of times you are pinned into a situation that you would never want to be in and even if you restart a chapter to change your previous actions, you still end up stuck trying to decide between the lesser of two evils. Interactive storytelling where you are given the tools to create your own path can only go so far. Hopefully someone more creative than me will be able to revolutionize this genre of gaming in the near future. Having played this game on both PC and PS4, I can inform you that the glitches that have plagued some past Telltale games were not present in the PS4 version. It was the smoothest game in their library that I have played thus far, and I fully expect that to continue when and if Season 2 is ever announced.